It is strongly advised to book tickets in advance to secure your timeslot and guarantee entry. Discover Cornwall’s Horrible History with a LIVE Pirate Guide. 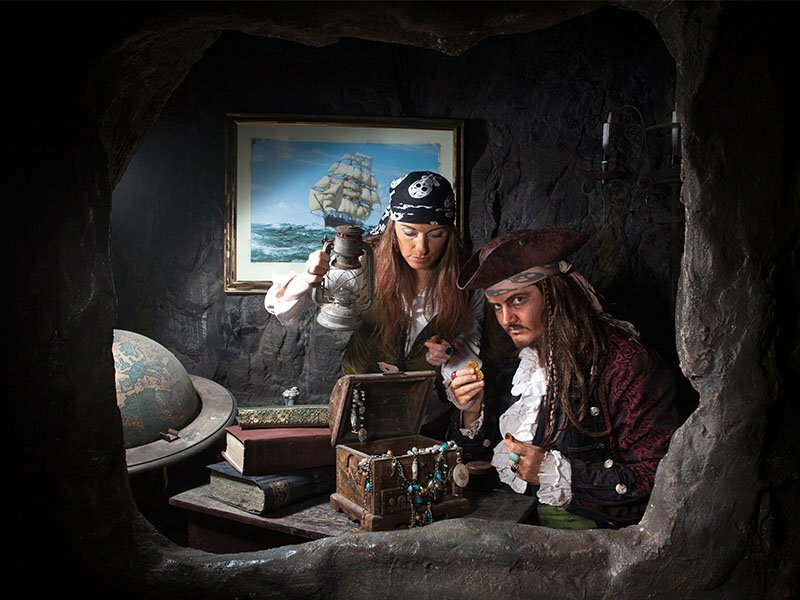 Pirate’s Quest, Newquay is an immersive walk-through experience which combines talented theatrical actors, amazing special effects, and detailed 360⁰ sets in an authentic, atmospheric adventure. A LIVE Pirate Guide will lead you through realistic scenes on an hour-long voyage into the history of piracy. Be transported to the 1700’s and learn about the REAL Caribbean Pirates! A brand new storyline for 2019 will see visitors journey back in time, over 300 years, to Join the Pirate Heroes. A real LIVE Pirate will help you escape a shipwreck then lead you through the mystical caves and murky streets of eighteenth century Cornwall to the crew’s recruitment base; Blackbeard’s Tavern. Eventually you’ll arrive at the Captain’s Ship, ready to set sail to the Caribbean. Feel, hear, smell, and see Cornwall’s intriguing legends and exciting history in an adventure the whole family can enjoy together.